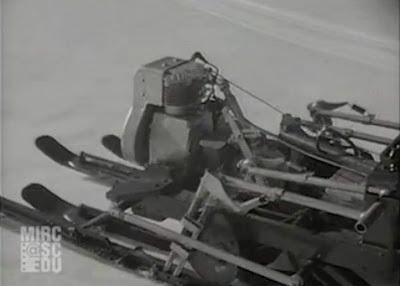 Machines walking across the snow aren't just for the Galactic Empire: long before George Lucas envisioned the battle of Hoth, a man from Yakima, Washington created his own snow walker. 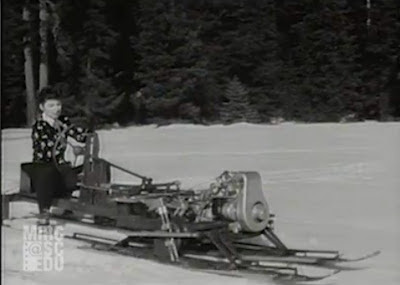 Captured on film in a Fox Movietone news reel, the walker look half tractor, half skis. Its four skids stomp across the snow dragging the driver behind. 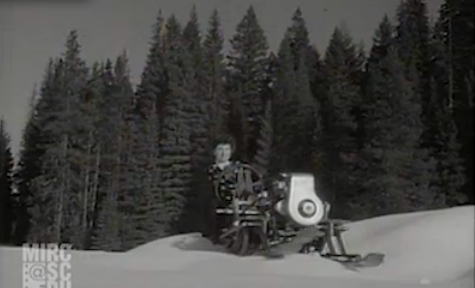 You can see the footage at the 6:30 mark of this video: Fox Movietone News, Vol. 25 No. 21, Wednesday Nov. 18, 1942. The vehicle, nicknamed the "ski doodle," makes good time as it crosses the snow-covered fields. It even takes on small hills!